Summers Squash. Summer because they are eaten early in an immature state. 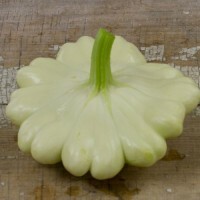 There are many varieties of summer squash or squash that are consumed in a small and immature condition. 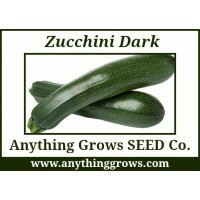 They are generally divided into four groups; crookneck, straightneck, scallop and zucchini. 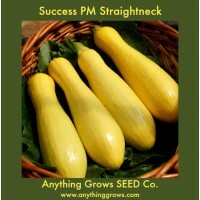 Harvest all summer squash while they are young and immature. They are sweetest when young and begin turning bitter as they develop seeds. Pick them just as the blossom ends turn brown; crooknecks when they are 4 to 6 inches long, straightnecks when they are 5 to 6 inches long, scallops when they are 2 to 3 inches across and zucchini when they are 4 to 6 inches long. No matter how carefully you watch, an occasional squash will hide under a leaf and grow too large for normal cooking methods. EXCLUSIVE - Astia is a well-bred French bush zucchini variety, developed especially for container growing and planting in small space gardens. These non rambling, compact squash vines are also highly ornamental with big silvery-green, deeply indented leaves. 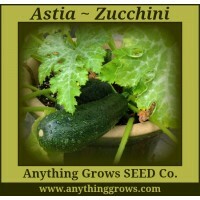 Early bearing and productive, Astia bears abundant zucchini near the base of the plant where they are easy to harvest. 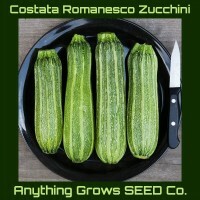 These uniformly smooth, lustrous, glossy-green zucchini have excellent flavor and are delicious whether roasted, saut&eacu..
Easy-to-grow pale green fruits that mature to a creamy white. Bushy plants provide good yields of saucer-shaped fruits with scalloped edges. No formally noted virus resistance, but has shown field resistance in our trials. Patty pan-type • Bushy habit • Harvest at 2-3” diameter. (Cucurbita pepo). Maturity 52 days. Heirloom ..
Prolific, disease-resistant plants with smooth, uniform, and attractive fruit. A breakthrough in OP summer squash, high yielding in our trials, with over three months of abundant, disease-free harvest. Released by High Mowing Organic Seeds and Cornell Universities Vegetable Breeding Institute. Uniform shape • Harvest at 6-7”. (Cucurbita pepo) Maturity 50 days. 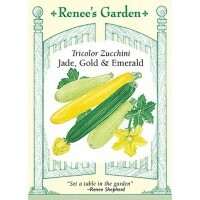 Maturity 45 Days ..
Renee's EXCLUSIVE - Our mixed seed packet offers an easy way to grow 3 different colored, extra-fancy zucchinis. Plump pastel green Clarimore is creamy and tender stuffed or baked; glossy dark green Raven is sweet and succulent steamed or sautéed, and the buttercup yellow fruits of Golden Dawn are delicate and nutty. Maturity 50 days. 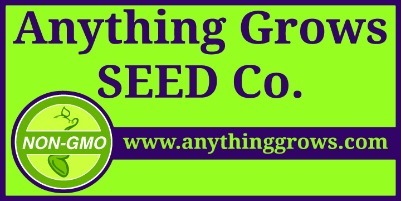 Seeds are color coded with USDA food grade stain to distinguish varieties. 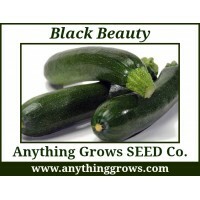 Be sure to plant some of each for show stopping harvests. Pink seed =..
Wins every taste test with its unique, slightly nutty flavor and exceptional texture. Italian heirloom with tender, gray-green skin and prominent ribbing that give this variety a distinctive appearance. Great picked at 6" or smaller and fried whole with the flower still attached. Gourmet variety. Harvest at 6". Maturity 54 days. .. Vigorous variety produces good yields of straight, smooth marketable fruits. An open-pollinated variety best suited to the home garden, with abundant yields of lightly mottled dark green fruits. Pale greenish-white, firm flesh. Bush habit • Harvest at 6-8”. (Cucurbita pepo). Maturity 50 days. ..